The new January 2010 issue of CAR Magazine is on sale on Wednesday 16 December. Highlights include a BMW package focusing on the new 5-series and its super saloon range-topper, the new M5, plus features on a new rare-groove M3 version, an exotic drive in Munich's first hybrid SUV and a ringside seat at BMW's team in the American Le Mans Series. 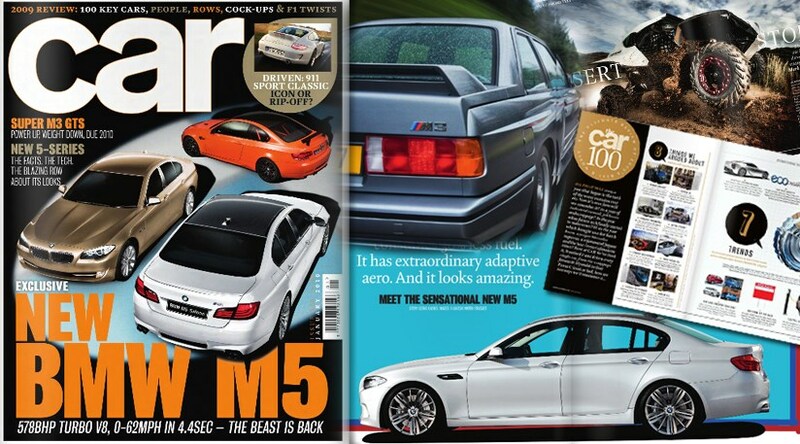 Plus 30 first drives, long-termers, news and the usual brain fodder you'll find in every issue of CAR Magazine. Scroll to the foot of the page for our free digital sampler.